Brooklyn-based and currently attending LaGuardia High School of Music & Art, Marvin has been playing the alto sax since fourth grade. He is lead saxophone player in the Performance Music Workshop Big Band, where he also mentors younger players, and is a frequent guest soloist with Arturo O’Farrill’s Afro-Latin Jazz Orchestra at Birdland. He also plays with the Jazz at Lincoln Center Youth Band, Arturo O’Farrill’s Fat Cat Band, the LaGuardia New Music Ensemble and the Brooklyn College Big Band. He looks to the Workshop to prompt more innovative playing and improving his technique and rhythmic variation. Born in Tel Aviv, Ari moved to the US five years ago and now attends the L.A. County High School for the Arts. He started playing the piano in second grade, migrating to jazz by fifth grade, and has studied with Bill Cunliffe, Josh Nelson, and currently with Alan Pasqua. He plays with, and composes for, a variety of combos and big bands, has been in the Bill Green Mentorship Program and the Stanford Jazz Institute. He was Merit Winner at the YoungArts Foundation. He is eager to learn about the musical journeys of the Workshop faculty, while deepening his connection to the piano and its important role in jazz. Hailing from Marietta, GA, Clay started playing the piano when he was three, starting classical lessons at four, and by 12 turned his focus to jazz. He plays in the Eshleman Brothers Trio and also plays gigs with the Rialto Youth Jazz Orchestra and The Classic Quartet. He has participated in the Stanford, UNC, and Juilliard Jazz Workshops, and was awarded the Stanford Jazz “Shape of Jazz to Come Award” and the Stanford Jazz Herb Wong Memorial Scholarship. Drawn in particular to the “no written music” policy of the Workshop, Clayton hopes to develop his listening skills, in addition to the networking opportunities with pros and fellow students alike. Born and raised in Seattle, Ben has already played with a plethora of trios, quartets, quintets, sextets and other configurations, including his own quartet. 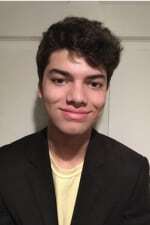 Accepted at both the Berklee Global Jazz Workshop and Jazz at Lincoln Center Summer Jazz Academy, Ben was also a member of the Grammy® Band, a YoungArts honoree, outstanding soloist at Lionel Hampton Jazz Festival, and received Outstanding Musician Award at both the Reno Jazz Festival and the Mel Brown Jazz Camp. He looks forward to playing and learning from his highly accomplished fellow students, as well as from the stellar faculty, at the Vail Jazz Workshop. 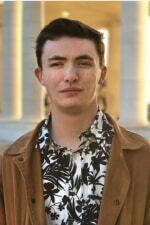 Based in Littleton, CO, Chris attends Denver School of the Arts (DSA). Chris has played with many combos and ensembles at both the DSA and the Colorado Conservatory for the Jazz Arts, as well as various all-state bands, honor bands and the Colorado Youth Symphony Orchestra. His résumé also includes numerous citations for outstanding solo performances and multiple Downbeat Student Music Awards. 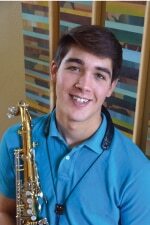 He hopes that the “ear training” aspects of the Vail Jazz Workshop will challenge his precision, understanding, and articulation of music, and aid him in learning the music in both traditional and nontraditional ways. Living in Alexandria, VA, Geoffrey discovered the trumpet at age four and immediately started lessons. Since that time, he has performed on both the Tonight & Today shows, with the Duke Ellington Orchestra, the Philadelphia Brass Quintet, Bucky Pizzarelli, Chris Botti, Christian McBride, John Clayton, James Morrison, Ken Peplowski, and many other notables. He has also performed at Jazz at Lincoln Center, Dizzy’s and Blues Alley, and at the Monterey Jazz Festival with the Next Generation Jazz Orchestra. Among his hopes for the Vail Jazz Workshop are to develop a smoother flow of musical ideas, and to develop natural and meaningful, inviting phrases. Maplewood, NJ is home to Peter, who’s been playing drums as long as he can remember. 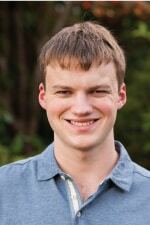 He has performed with a variety of bands including his high school honors wind ensemble and honors jazz ensemble. He was selected as outstanding soloist at the Livingston Jazz Festival, and frequents major NYC jazz venues such as the Vanguard, Jazz Standard and Jazz at Lincoln Center. Peter looks to the Vail Jazz Workshop to expand his understanding of the functions and responsibilities of the drummer in various ensemble settings, and to share that wisdom with other musicians in the future. Raised in Golden, Co, Tony grew up in a musical household, picking up electric bass when he was 6. 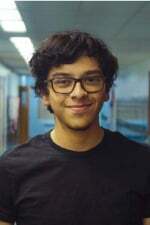 By 7th grade, he was studying at Denver School of the Arts. He received a full scholarship to the Berklee Global Jazz Institute Workshop, has performed at the Newport Jazz Festival, and was the Merit Winner in Jazz Performance at the National YoungArts Foundation. With perfect pitch and a well-honed ear, Tony hopes to further develop his “feel” of the music, facilitating a more relaxed technique, while establishing more connections in the jazz community. 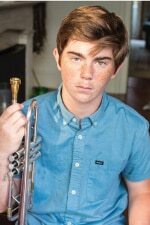 Largely self taught on the trombone, Zach is from Las Vegas and plays in various jazz and classical musical settings with the Nevada All State jazz groups, college concert bands and private philharmonic youth groups. Zach has played in the Stanford Jazz camp combo, the Las Vegas Youth Orchestra Symphonic Band & Philharmonic, the College of Southern Nevada Concert Band and other ensembles. He hopes the Workshop will improve his listening skills, facilitate chord progressions more easily. 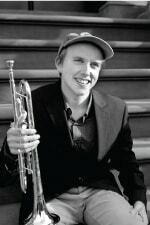 Hailing from Brooklyn, James attends Juilliard PreCollege as a classical trumpet major, and previously attended Manhattan School of Music Precollege as a jazz major. 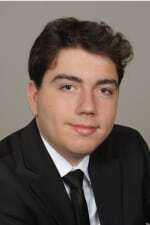 He is a member of the Jazz at Lincoln Center Youth Orchestra and has attended the Louis Armstrong Jazz Camp, Skidmore Jazz Institute and was in the Jazz Standard Youth Orchestra. 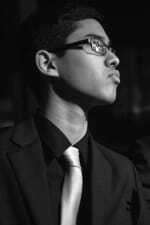 He received the YoungArts Merit Award for jazz trumpet and the DownBeat Student Music Award. James hopes the Vail Jazz Workshop will give him greater awareness of what’s happening around him musically, and to become a more responsive contributor with a greater musical vocabulary. Born and bred in Greeley, CO to a family of professional musicians, Sam has been studying trombone for half a decade, currently at Denver School of the Arts (DSA). 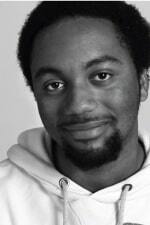 In addition to trombone, he also studies arranging, composition, improvisation and jazz history at the university level. 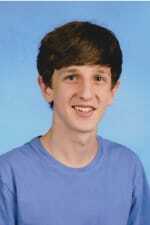 He has played in a variety of ensembles at DSA, the Allstate Jazz Band, and the UNC Greeley Jazz Festival Honor Band. Sam was a Grammy Band finalist and was in Downbeat’s “Best High School Jazz Band,” as well as being selected for the Essentially Ellington Competition. He hopes to work on his listening and reacting skills in the Workshop. From his home base in Richmond, VA, Kofi began drumming at the age of one on the Djembe, a west African drum. About 10 years ago he was introduced to traditional jazz drumming at the Richmond Youth Jazz Guild. 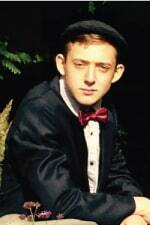 Last year he was awarded a full scholarship to attend Berklee Summer Jazz Workshop. He has played in several Richmond Youth Jazz Guild ensembles, was a Young- Arts Jazz Finalist and has performed with many other ensembles including the Appomattox Regional Governor’s School Orchestra. He is excited about being part of the Vail Jazz Workshop due to both the stellar faculty and his peers, and for the lifelong friendships that emanate from the shared Workshop experience.